The Columbus Ice Rink fulfills a vision that began in 1998. Collaborative effort between the Columbus Consolidated Government, Columbus Adult Hockey Association, Hurricanes Hockey Program, and the Columbus Cottonmouths made the project a reality. Designed as a multi-functional facility, its amenities include venue seating for 450, league locker rooms, professional locker rooms, pro-shop, concessions, party area, and VIP room. 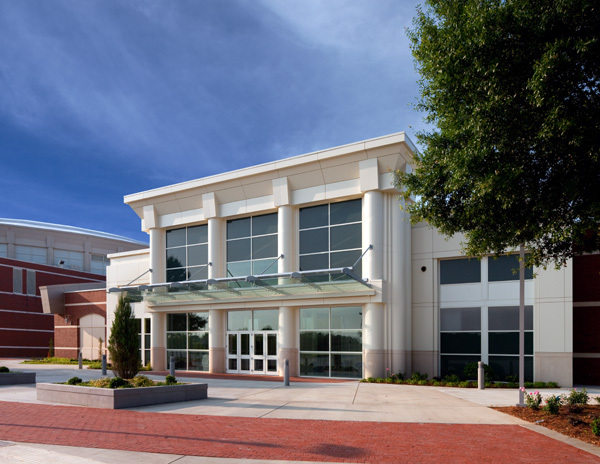 The ice rink serves as the practice facility for the beloved Columbus Cottonmouths of the ECHL and as home ice for Auburn University. Immediately adjacent to the Columbus Civic Center, the design of the Ice Rink took many cues from its neighbor. However, 2WR did not just copy design elements from the adjacent structure, but rather took them to another level in detail and materiality. 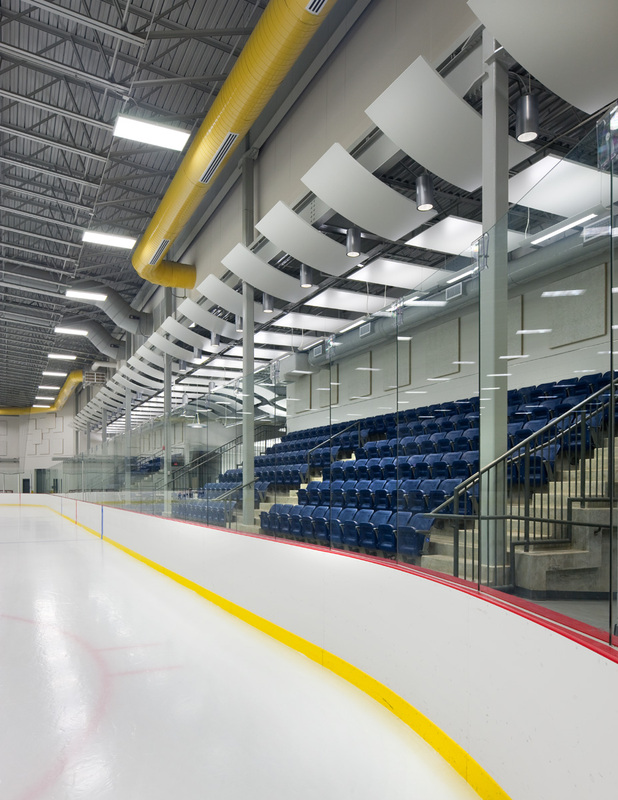 The Ice Rink’s main entrance sets the stage as a teaser to the spirited interior. Interior non-ice functions are highlighted with curvilinear canopies that engage the user at the entrance. The canopies continue along the entire seating area and establishes a rhythm for lighting elements while also serving as an element that highlights the ice edge.